OOSH FEST! A small festival of DIY acts. Music in various manifestations from guitar-band to drum machine styles. Saturday 2 December. Tote Upstairs. $15. 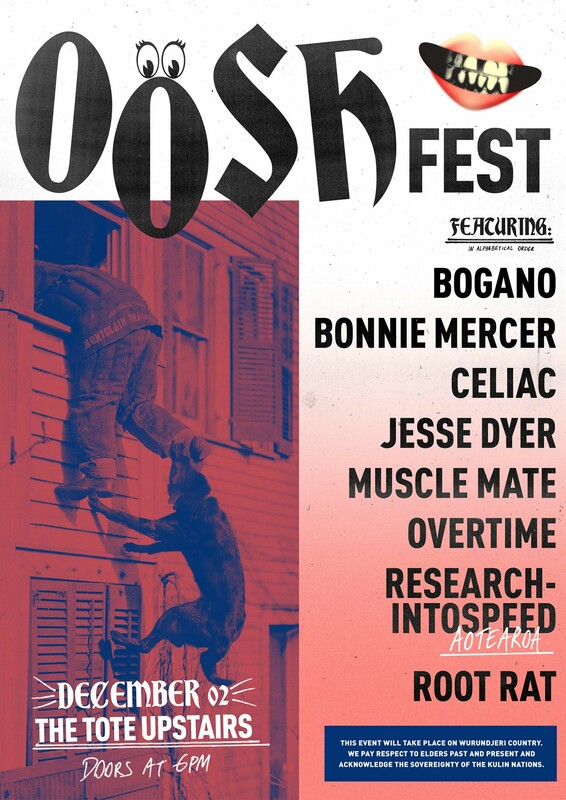 Plus more interset entertainment TBA – OOSH!